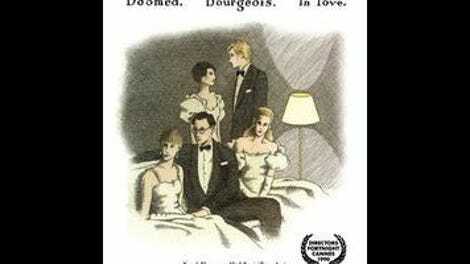 A title card at the beginning of Whit Stillman’s debut feature, Metropolitan, identifies the time period merely as “not so long ago.” At the time—the film was originally released in 1990—Stillman was looking back roughly 20 years, to the early 1970s; this 25th-anniversary re-release means that about 45 years have now passed. It doesn’t really matter, though, as Metropolitan has always felt like a movie that exists in a strange, insular little bubble of its own, utterly divorced from the personal experience of virtually anyone who watches it. 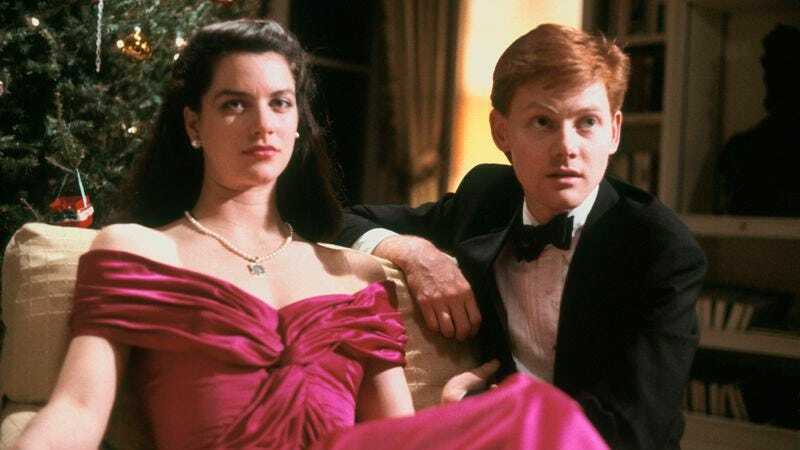 The film’s enduring appeal lies in its sardonic yet warmly affectionate portrait of New York’s debutante-ball subculture, which has rarely appeared onscreen before or since. Few will identify with the ludicrously wealthy characters, who speak in perpetual bon mots and are virtually never seen in anything but formalwear, but their stubborn refusal to evolve with the culture—forever sounding as if they’re in one of the Jane Austen novels they so earnestly discuss—is part of their charm. Shot on a shoestring, Metropolitan doesn’t actually show the balls themselves, and it doesn’t really have a narrative to speak of. Mostly, it’s a series of hilariously mannered conversations at the ball’s after-parties, involving a group of Upper East Siders who call themselves first the SFRP (for Sally Fowler Rat Pack, after the member to whose apartment they always convene) and later the UHB (for Urban Haute Bourgeoisie). Some minor intrigue derives from the presence of Stillman surrogate Tom Townsend (Edward Clements), an Upper West Side resident who’s adopted by the gang when he and they try to hail the same cab. Tom is probably at least in the 85th percentile financially himself, but he’s a pauper compared to the UHB crowd, and he also fancies himself to be vehemently opposed to the self-satisfied ostentation of high society. Nonetheless, he keeps coming around all week, and slowly begins to realize that Audrey (Carolyn Farina), the most sensitive and literary-minded of the debs, has developed feelings for him. Stillman would develop greater facility with the camera in later films (especially The Last Days Of Disco), but he’s never topped Metropolitan’s plethora of quotable lines, expertly delivered by a superb ensemble of unknowns (most of whom have stayed that way). The film’s star attraction is the relentlessly sarcastic and obnoxious Nick Smith (Chris Eigeman, in his screen debut), who takes Tom on as a sort of personal project when he’s not busy hurling epic insults at everyone who wanders into his field of vision. (“Rick Von Sloneker is tall, rich, good-looking, stupid, dishonest, conceited, a bully, liar, drunk, and thief, an egomaniac, and probably psychotic. In short, highly attractive to women.”) But just about the entire cast gets an opportunity to shine at some point—even Fred (Bryan Leder), an alcoholic who passes out almost immediately at every function. Arcane topics discussed with oblivious, high-octane pretension include the respective value of fiction and literary criticism; the failed socialist movement known as Fourierism; and whether a made-up story is a lie if it potentially qualifies as a composite (“like New York magazine does”). Admittedly, this is not a movie likely to appeal to viewers who are jonesing for action. The closest it ever comes to conventional drama is toward the end, when Audrey accepts an invitation to visit the aforementioned scoundrel (according to Nick) Rick Von Sloneker, prompting Tom and Charlie (Taylor Nichols) to undertake an inept rescue mission—and even that’s absurdly low-key. As a deep dive into the addled psyches of the obscenely rich and overeducated, however, it remains a fascinating cinematic oddity, introducing a voice so unique that there’s still nobody else around who sounds even remotely like him. Even the hidebound Academy membership, which gave that’s year Oscar for Original Screenplay to mega-hit Ghost, couldn’t ignore Stillman’s genius—he was among the other nominees. Today, it’s nearly impossible to imagine Metropolitan getting a commercial release, much less Academy Award recognition. As Nick complains at one point, “So many things which were better in the past have been abandoned for supposed convenience.” Please note: He’s talking about detachable collars. That’s the kind of film Metropolitan is.